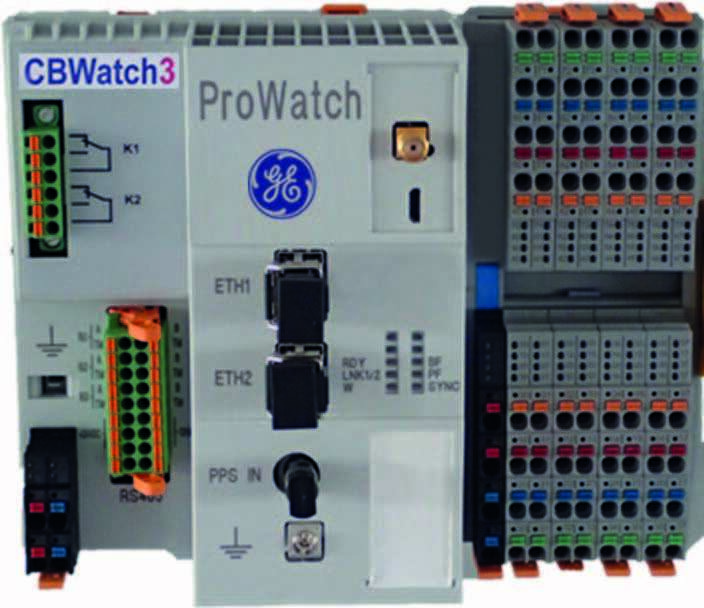 GE’s CB Watch 3 is a compact, modular, online monitoring solution suitable for high voltage circuit breaker. It records information using non-invasive sensors and performs local real time monitoring of operational parameters attached to key breaker functions. It looks for threshold breaches, warns of any significant change in operating performance and assembles an overall condition assessment of the breaker. It focuses on detecting even small SF6 leaks as early as possible, trending the leak rate to help you manage and optimize your gas refill operations and avoid any costly environmental penalties. The CB Watch 3 also highlights the need for any mechanical maintenance or arcing contact replacement, eliminating yearly testing and fixed interval overhauls and instead enabling a more cost effective and less reactive condition based maintenance approach.